French President Emmanuel Macron will ask the new French National Assembly to vote for electoral changes which would see more than half the current members of his own party out of a job at the next elections. The newly-elected President gave a rare address to both houses of the parliament – the Assembleé Nationale and the Sénat – at the Palace of Versailles today. Within a wide-ranging political address, the President announced his intention to shrink the size of the Assembleé and introduce an unstated form of party proportional representation at future elections, starting from 2022. “I shall therefore propose that Parliament be elected by proportional representation, so that all viewpoints may be accurately represented,” the President said. Media reports indicate that his intended shrinkage of the number of MPs would be by around a third. The Assembleé’s 577 current members are elected in single-member divisions by a form of two-round runoff electoral system. 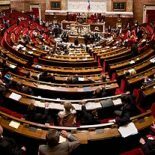 These new Assemblée members may have some reluctance to accomodate their President’s reforms. Cutting the size of the chamber from 577 members to around 390 would be bad enough for the career length of MPs. But combined with a shift to a party-proportional system, the list of winners and losers compared to the recent 2017 election results becomes dramatic. Had Macron’s proposals applied to the votes cast at the first round of the legislative elections just held, his own party La République En Marche (REM) and its Democratic Movement (MoDem) allies would have won around 158 of the hypothetical 390 seats. That’s fewer than half of the actual 350 REM and MoDem members who will soon sit in the chamber to weigh up Macron’s proposed changes. The centre-right opposition Le Republicans party members will be feeling the same hesitation as the government MPs. Their party could have expected to win around 77 seats under the proposed system, well below the 113 that were actually elected in the existing single-member electoral divisions. The left wing La France Insoumise party would have done better under the alternative system, winning about 33 seats instead of 17; the Socialist party a little worse, 22 seats instead of 29. The only obvious beneficiary of the proposals is the far-right Front National, which would have captured around 65 seats last month, whereas they actually secured just 8. Given that support from the other parties in the current Assembleé will be either non-existent or else small in numbers, Macron will need around 80% of his REM/MoDem deputies to vote for his new electoral package, and most likely the limitation of their own careers. If MPs prove reluctant, Macron may have another option – taking his changes to the electorate at a referendum as a constitutional amendment. The current electoral system is not without its serious flaws, however. The large legislative majority won by the government parties was heavily distorted by the design and rules of the existing electoral system. And with a historically low turnout of less than half of the electorate at the recent elections, the 350 government deputies actually represent just 15% of the French electorate (based on first round votes cast; at the more candidate-limited second round of voting they won 19% of the electorate). This entry was posted on July 4, 2017 by Malcolm Baalman in Current issues, Electoral reform attempts, France, Seat allocation PR elections, Two-round runoff.